The judge said both sides agree she was expected to be available as needed throughout each hour of each day. PHOTOS: Lady Gagas Most Memorable Fashion Moments Gardephe ruled that O’Neill’s “on-call” time potentially qualifies for overtime compensation. O’Neill said she was paid at a flat rate of about $50,000 annually when she was first hired and $75,000 annually the second time by the pop singer, who is estimated in a list published by Forbes magazine to have earned $80 million in the first six months of this year. Lawyers did not immediately comment. In his written decision, Gardephe noted that lawyers said Lady Gaga, listed in the litigation under her birth name — Stefani Germanotta — and O’Neill frequently slept in the same bed because O’Neill never had her own hotel room while on tour and was required to address Lady Gaga’s needs throughout the night. O’Neill had testified in a deposition that if Lady Gaga was watching a DVD in the middle of the night and grew tired of it, she woke her up to take out and replace the DVD. PHOTOS: VMAs 2013: Best and Worst Moments “Every day is a work day for her, so every day is a work day for the rest of us,” she said. “There is no, ‘We’re going to stay in, we’re going to sleep.’ There is no, ‘Let’s put on sweatpants and go out to the movies and be girlfriends.’ It doesn’t work like that,” O’Neill said. In her deposition testimony, Lady Gaga had testified: “You don’t get a schedule. You don’t get a schedule that is like you punch in and you can play … at your desk for four hours and then you punch out at the end of the day. This is, when I need you, you’re available.” O’Neill had testified she was responsible for sometimes monitoring the singer’s e-mail and telephone communications and for handling all her luggage — generally 20 bags — including clothing, accessories, makeup and toiletries. She was also responsible for making sure that “special food” was available at every location and for ensuring that the singer arrived at performances on time and had ample time for hairstyling, makeup and voice warm-ups, O’Neill claimed. She said she assisted with costume changes during performances and was responsible afterward for arranging ice packs, tea and a shower, along with dinner and an exit from the venue. The judge noted that the women met after Lady Gaga moved into O’Neill’s apartment building on the Lower East Side of Manhattan before 2008, when they became roommates and friends. 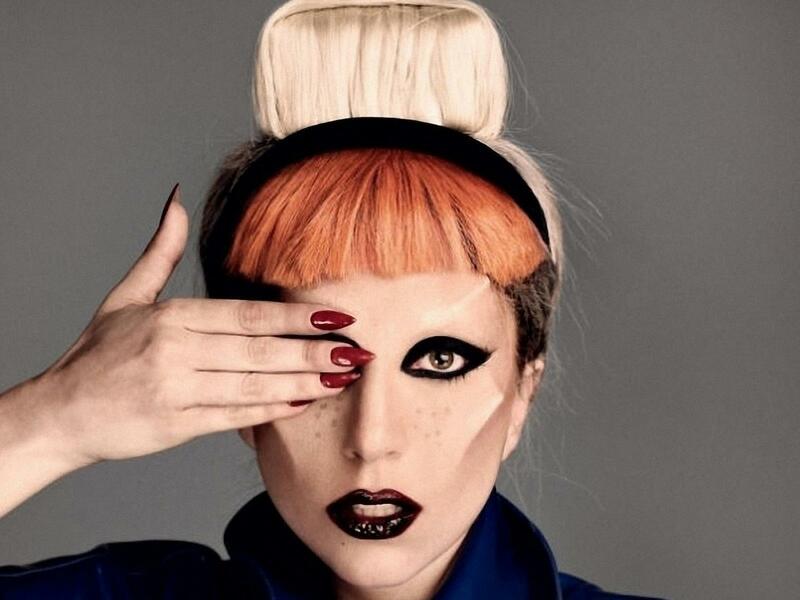 What does Lady Gaga have in common with Miley, Madonna , Kanye, and Rihanna ? The “Applause” singer is the latest celeb to discuss the popular club drug Molly, which has been in the news lately following at least four deaths from the drug in recent weeks. Over Labor Day weekend, two people at the Electric Zoo dance music festival in New York City, at least one death occurred at a nightclub in Boston, and a 19-year-old University of Virginia student died from what’s suspected to be a bad batch of the drug weaving its way through the East Coast. So, what is Molly exactly? It’s an old drug with a new name. Molly short for “molecule” is the powdered form of MDMA, the main ingredient also in the club drug ecstasy, which has been around for several decades. The drug creates a euphoric feeling of empathy and is often taken at electronic music concerts. Many drug experts see the repurposing of MDMA under the relatively harmless-sounding new name “Molly” as one of the best remarketing efforts the drug business could have possibly thought up. Moreover, Molly is often mixed with other drugs, which can lead to dangerous combinations. Earlier this year, New York Magazine wrote an extensive cover story on how whole new categorizations of designer drugs are popping up, many of which are generally labeled as Molly. Miley Cyrus (KCS Presse / Splash News) In the past couple of years, many popular musicians have been talking and singing about Molly. In her summer anthem “We Can’t Stop,” Miley sings a line that many clearly hear as “dancing with Molly,” although she claims she’s singing “dancing with Miley.” In his 2012 song “Mercy,” Kanye raps “somethin’ ’bout Mary she gone off that Molly” and “a gnashing of teeth,” which is a side effect of using the drug. Rihanna sings “as we moonshine and molly” in her hit song “Diamonds” from this past year. 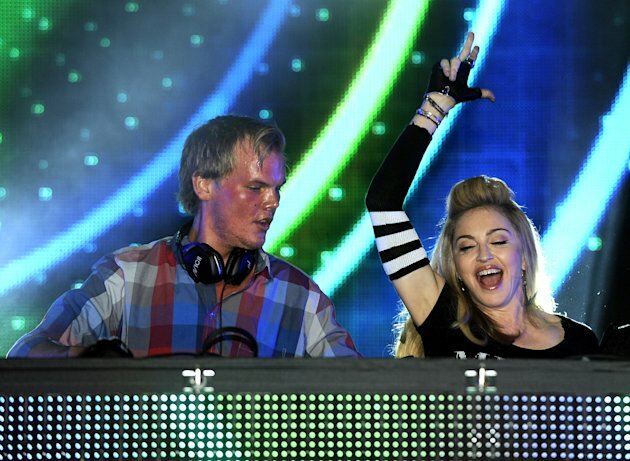 And in 2012, Madonna appeared alongside DJ Avicii at the Ultra Music Festival in Miami, and asked the audience, “How many people in this crowd have seen Molly?” As for Gaga, well, she didn’t “plead the fifth” when it came to talking about her past drug use with Andy Cohen on his late-night Bravo talk show “Watch What Happens Live” on Wednesday. And for good reason. “I am Stefani is a perpetually tortured artist. That’s why I changed my name. I can’t be her in public. She would be a mess!” the former Stefani Germanotta explains to Elle in its October issue, on newsstands Sept. 24. The 27-year-old’s past is always a topic of much discussion, not all of it friendly. But the pop star, who has battled eating disorders and drug problems, dismisses those who question how much she really struggled when she was younger. “Everyone is so cynical that I can’t purely love my fans, or share an honest story about my past, without someone asking me if I really, truly struggled,” she says. “Do you know how much dirt I ate? Do you know the men I had to crawl through, the people that disrespected my body, my mind, my heart?” But don’t worry, she says. She can take the criticism because she’s a fighter. “I’m great under pressure,” she says.